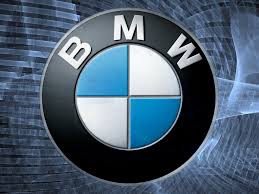 BMW stands for Bayerische Motoren Werke AG and is a German automobile, motorcycle and engine manufacturing company. It was founded in 1917 after restructuring of the Rapp Motorenwerke aircraft manufacturing firm. It is headquartered in Munich, Germany. Dixi is the first car which BMW successfully produced and the car which launched BMW on the road to automobile production. began building motorcycle engines and then motorcycles after World War I. It is the parent company of Rolls-Royce Motor Cars. The logo was said to represent what pilots see when they look through their propellers in flight. In 1923 BMW built its first motorcycle, and in 1928 the company's success story as an automobile manufacturer began with the acquisition of the Eisenach vehicle factory. The company’s first motorcar was a version of the Austin Seven built under licence. In 1992, BMW acquired a large stake in California based industrial design studio Designworks USA, which they fully acquired in 1995. BMW survived the Second World War by making pots and pans, spades and bicycles. In 2010, the BMW group produced 1,481,253 automobiles and 112,271 motorcycles across all its brands. In June 2012, it was listed as the #1 most reputable company in the world by Forbes. BMW (UK) Ltd commenced operations in January 1980. It now employs around 8,000 people. The UK is the only place in the world where all three of the BMW Group brands (BMW, MINI and Rolls-Royce) are represented by manufacturing operations. The German market makes up 20.8pc of BMW's sales volume. The UK makes up 10.7pc. BMW was formed in 1916. The first BMW motorcycle was launched in 1923. BMW owns Mini and Rolls-Royce. The BMW headquarters are located in Munich, Germany. In the UK, BMW employs approximately 8000 people. In 2009, BMW produced approximately 1.4 million vehicles. Additionally, 82,000 motorcycles were produced by the company in 2009. BMW owns Husqvarna, a prominent producer of motorcycles and chainsaws. BMW has an estimated 106,000 employees worldwide. BMW made approximately $4,279,000,000 in income in 2008. BMW is ranked 78 in the Fortune Global 500 Business list. BMW is the only current motorcycle manufacturer to reject the use of telescopic forks on its motorbikes.